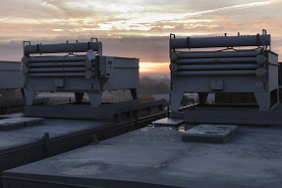 On a frosty December morning 4 of the 13 large canopied generators for a UK data centre are in the last stages of production. The roof-mounted remote radiators are the final addition before shipping. 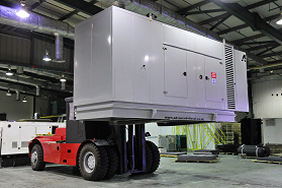 Weighing approximately 32 tonnes each, all 13 generators can run in parallel at 75dB(A) @ 25m. 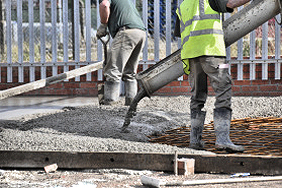 Two new CAD engineers are 'draughted' in to take the reins of new seats of Solidworks 2008. 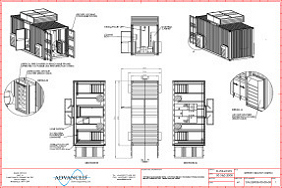 ADE will soon be making the transition from 2D to 3D making Solidworks our primary engineering design software. Recent sales developments bring record figures to the order books at ADE. 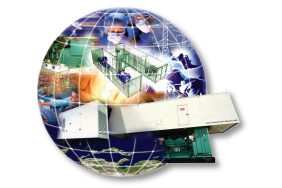 This month £15m worth of generators and associated project work are either in the design and development stage or already on their way to clients in the UK, US, Africa and Europe. British Engineering shows no signs of decline at ADE. Ongoing modifications to the yard area are now complete, including an extension of 1.2 acres to facilitate the simultaneous testing of up to 10 x 40' containerised generators. A 2500kVA drop over canopy is shown complete and ready to leave ADE. This huge 30 tonne one-off canopy, designed to the clients specification is now providing stand by power for Cable & Wireless. 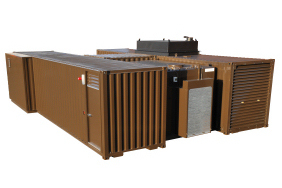 This 2250kVA drop over canopy is one of four similar canopies ordered by Cummins Power Generation. 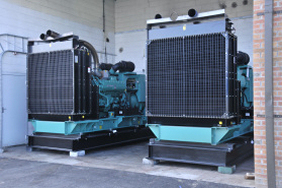 This Ultra-silenced generator is now on stand by duty in Welwyn Garden City. 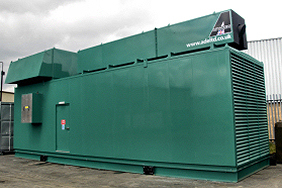 The latest emergency stand by sub station leaves ADE for HMP Wetherby in Yorkshire. 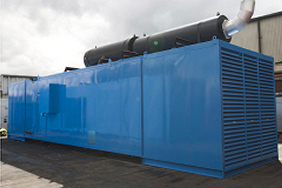 Powered using a 900kVA Cummins generator, features include an integrated 18,000 litre fuel tank, switched distribution, HV/LV oil cooled transformer and internal / external lighting. This 75db(A) @ 1m custom designed canopy is now on stand by duty for a major UK construction firm.